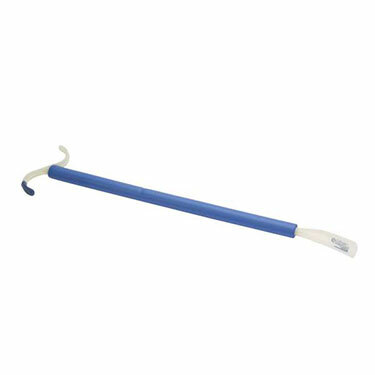 The Dressing Stick by Lifestyle Essentials comes with 18" or 24" shaft has a plastic coated "S" hook at one end on both models. "C" hook on opposite side of wood model (RTL2030). Shoe horn on opposite side of padded model (RTL2032). Can be used for both pulling on and pushing off clothes. Limited 6 Month Warranty.